Anyone been up kings in the last few days? I haven't been up there since the high water. Just wondering if it is still log jammed? Floating debris and clarity update after flooding please?? If it were me I would stay at home. we have gotten 5+ inches of rain in the last 36 hours and over 7 inches in the last 4 days. all streams and creeks are rolling and a lot of them are out of their banks. with lots of floaters. just my 2 cents worth. Fishing Guides - Making money on tax dollars? F&F. I can't answer the RR state record question. in my opinion catching a record out of RR is not really a record. If a state record deer escapes from a hunting preserve and is killed on public property it is not awarded the state record, but if a state record fish falls out of the spring pool at RR and is caught it is a state record... seems wrong to me. As for the guides and what they do for the corp or mdc... I agree they do a lot, But in the same respect, the lake is their business. If you owned a business you would want to keep it clean and pleasing to the eye or you wouldn't be open very long. As for volunteering to take people out free of charge, I would still like to see guides go strictly catch and release regardless of client. I would have to agree with Al. let the fish go, especially if you are being guided or are guiding(for money).. If you want to eat fish go to a trout park where they are stocked every night. They aren't exactly a natural resource at that point. This thread is not talking about taking a family member or friend out it is about guides accepting money for fishing assistance. I am assuming of course that you are an amateur fisherman. I would consider anyone being paid for that service to be a professional. and yes you can read a report or talk to a guy but that is still different from someone accepting $300+ to take me out and put me on fish. True RR is full of fish. however unless there has been a law change that I am unaware of you can not guide in RR. Anyone can catch fish there. my 8 year old can catch a limit there pretty well anytime she wants. As far as the Taney Shuffle goes... if you are there without a guide and you have the ethics or lack there of that allows you to feel that is okay then all I can do is talk bad about you for doing it. If guide teaches it to you then that is another topic to discuss. Okay so I pulled out the reg book and read the section on culling. The final line in the culling section states, " At no time may the daily limit be exceeded." This is after it talks about the bass tournaments etc. I use to work at Roaring River and I know it is a different world but it use to be that once you put the last fish of a limit in your possition(on the stringer or in the live well) you were done. I would believe that bass fishing would be the same. once the 6th fish is put in the live well you would be done. Most bass tournaments that I fish have a 5 fish limit so if an angler is fishing by themselves they do not exceed the limit and if there are 2 anglers in a boat they have nothing to worry about. Went to the rock last night. We put in at Big M around 6:30. I have asked several question about drop shoting on this forum and have gotten allot of good feedback, I want to thank you all for your help, but I want to send out a special thanks to the guys at fin and feather in Springfield. I stopped in a couple of weeks ago and asked them about drop shoting. They pointed me toward the stuff I would need and explained how, where, etc. They were really very informative. Last night we decided to try it for a little while. 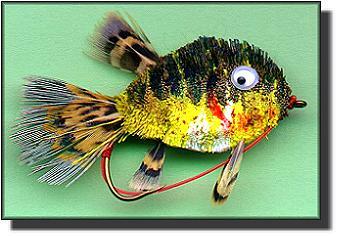 The electronics that we have are not good enough to see the hook and sinker but it shows fish just fine. I trolled around a main lake point till I found some fish on the screen. In a matter of 30 to 45 minutes I had 1 keeper spot, 2 keeper walleye, 5 short spots 1 short walleye and 1 BIG perch. After that we went back to the old favorites of big worms, salt craws and jigs on secondary points and channel swings. we had another 3 or 4 shorts and each and my partner had a couple of keepers. We were gone by 11:00. Joe, We were using 1/4 oz heads and still had a hard time keeping feel of them in the wind. We lost a lot of jig heads yesterday fishing the trees. We really like black heads made with good hooks (gamakatsu or a good mustad). Do you make your own or do you know somewhere that sells them in more than a 5 pack?